Interested in trading stocks listed on London Stock Exchange or Tokyo Stock Exchange, but don’t have an account with them due to regulatory restrictions? While the new service sounds exciting, considering the growth of markets outside US (above is a comparison between S&P 500 [red] and the MSCI EAFA Index [blue]), my concern with Global Trading is the fees it charges ($20 per trade plus $15 to $20 to convert dollars to local currencies). Global Trading is still under development, but you can sign up to get an email notification when it becomes available. EFA is doing very well, I am thinking about added it to my IRA. “Add international diversification to your stock portfolio ” that is the key to a good portfolio. 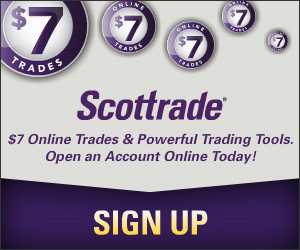 E-trade is definitely too expensive for the average global trader. One of my readers introduced me to Interactive Brokers, the fees are only $1 per trade, no matter what stock you buy. You can also buy stocks from 25 different market exchanges. I think it’s the internet’s best kept stock trading secret.